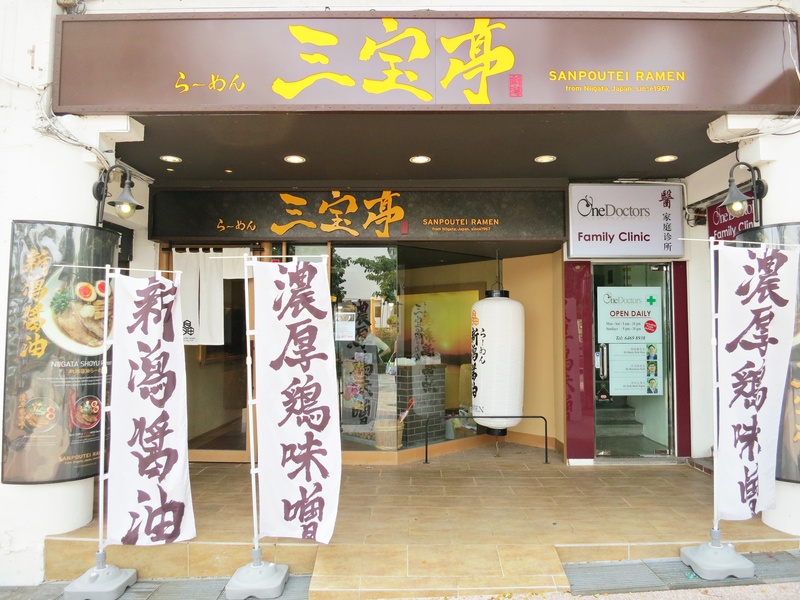 Did you know that RamenPlay is actually a collaboration between BreadTalk Group Limited and Sanpou Co. Ltd which is founded in 1967 in Kamikido Niigata? 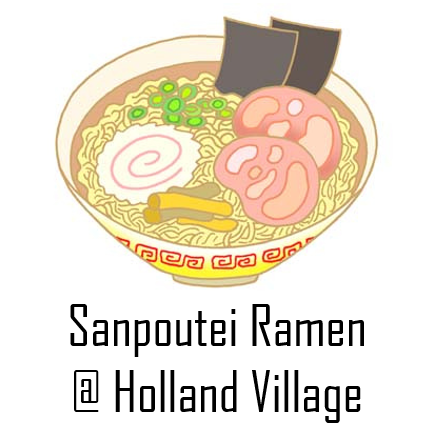 Sanpou Co. Limited has decades of experience under its belt and is famous for its quality ramen. The broth here is prepared daily by Sanpou’s master chefs with top grade quality ingredients and a secret recipe of spices. 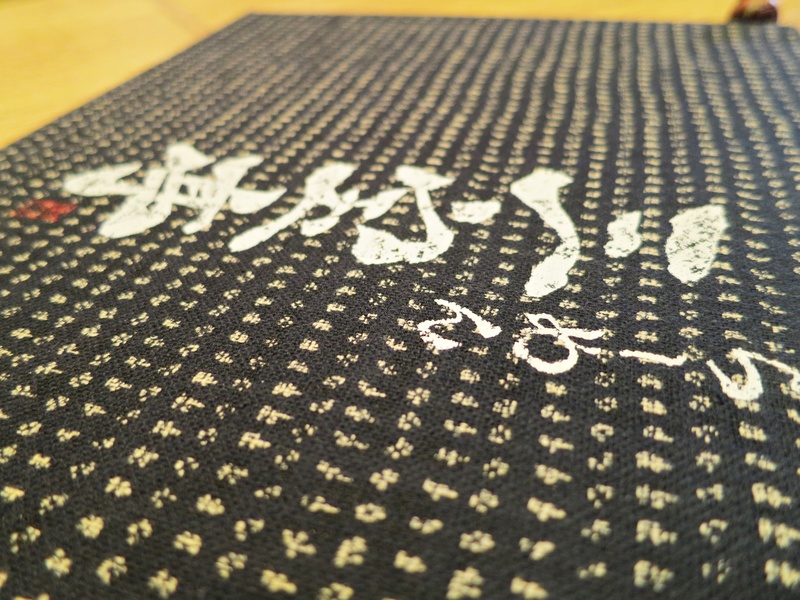 As for its rice dishes, they are made with premium Niigata Koshihikari rice. 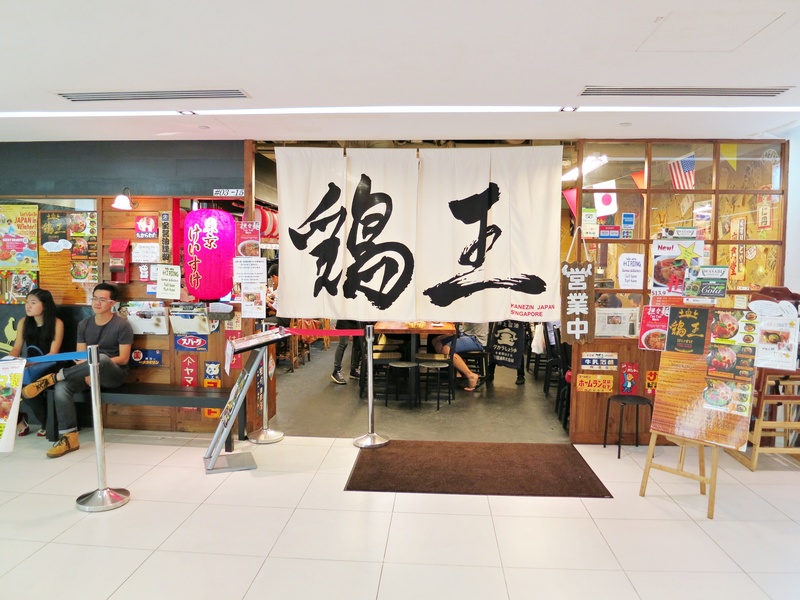 We were here to try RamenPlay’s new Shabu Shabu sets which are priced from $13.90. The sets are currently only available at four of their restaurants: BreadTalk IHQ (from 5pm onwards), Nex, JEM and Velocity @ Novena Square. I am always up for a good bowl of ramen! A combination of two things I really like–noodles and soup. So when I received an invitation to try the new black garlic ramen at Shin-Sapporo Ramen, I did not even hesitate. 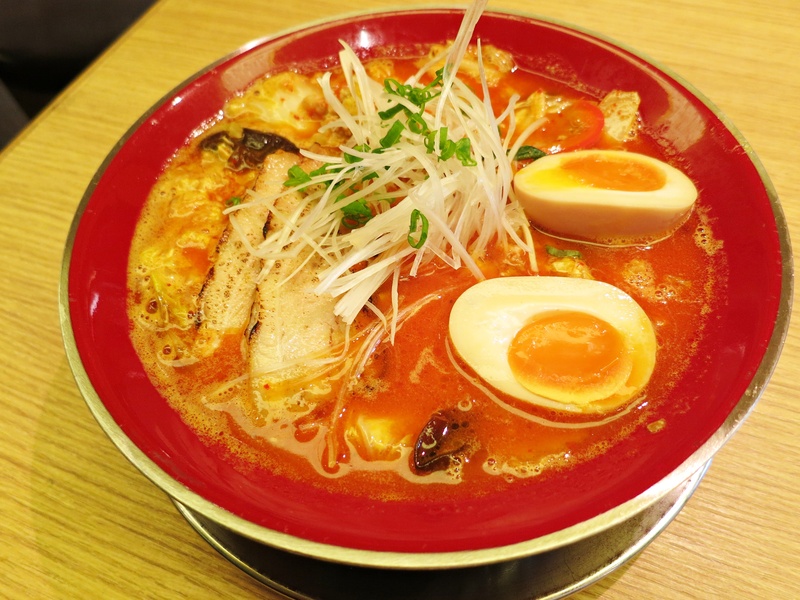 Shin-Sapporo promises consistency in the smoothness of broth, texture of noodles and richness in Japanese tradition. The chain has three outlets in Singapore, namely Orchard Gateway, Alexandra Retail Centre and Century Square. We had our dinner at the Orchard Gateway branch which is their newest restaurant (opened in 2014). 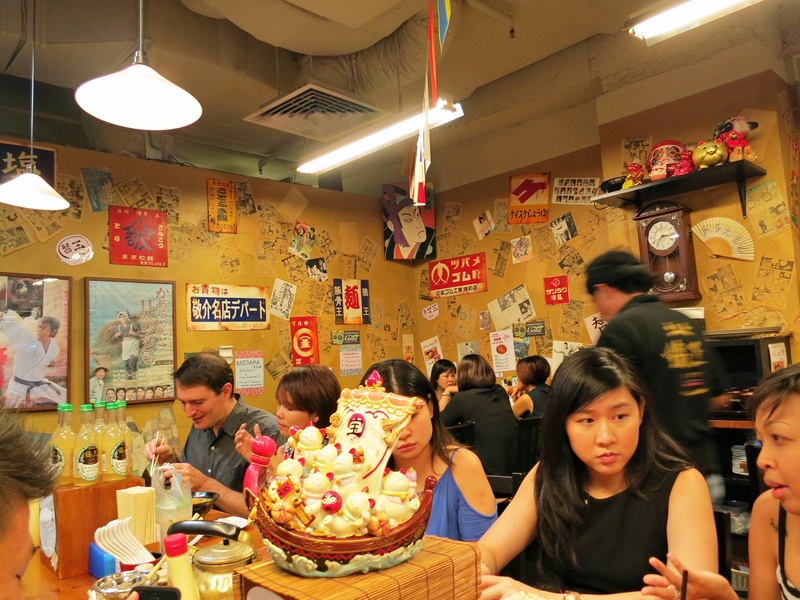 While waiting for the rest to arrive, I had the Calpis Jelly ($4.80). 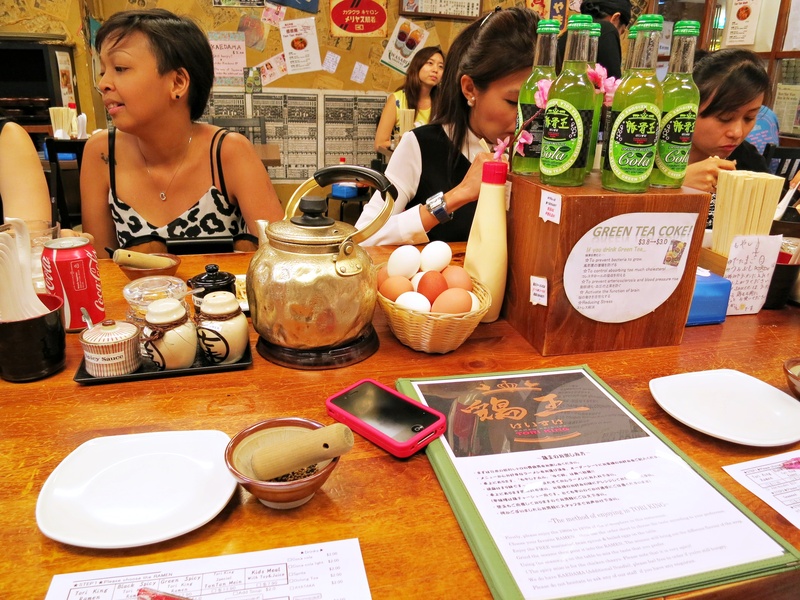 The drink is light, milky and tasted kind of similar to Yakult. The little bits of jelly reminded me of agar agar! Believe it or not, but even after all that hype about Chabuton, this is my first visit there. 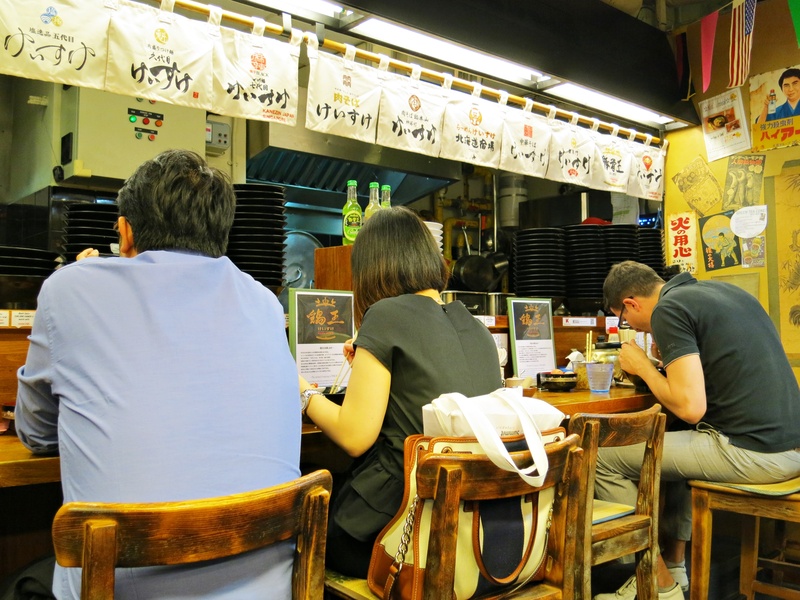 I was glad to be able to finally try the famous ramen by the world’s first Michelin-starred ramen Chef Yasuji Morizumi. The highlight of our visit was The Kurobuta ($18.90), which is available for a limited time only, from now till 31 March 2015. While waiting for our ramen to be served, we tried the Hitokuchi Gyoza (8 pieces for $5) and Ika Karaage ($5). Both appetisers were rather oily. Mum, who was my plus one for the evening, preferred the fried squid at Sushi Tei. And now for the main reason for our visit to Chabuton… The Kurobuta! The ramen comes with two layers of soup. Their signature tonkotsu soup at the bottom and chicken collagen soup on the top. It is recommended not to stir the soup and drink the chicken collagen soup first. Besides, there is no need for stirring because as you eat your noodles, the soup will be mixed gradually. The ramen is also served with a slice of Kurobuta pork, which is beautifully marbled and very tender. The noodles were too much for us, but we made sure we finished the soup!